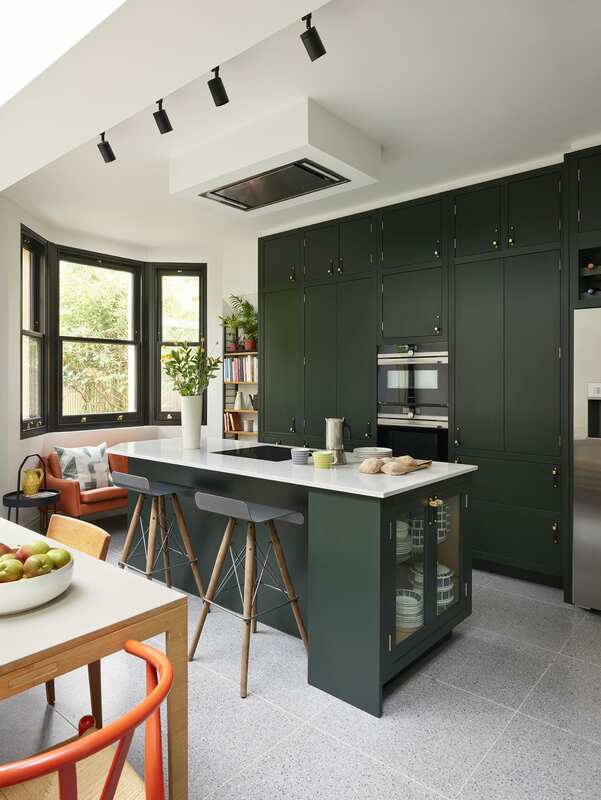 Perfectly comfortable in their home of sixteen years, Emma and Mark surprised themselves when they became captivated by the opportunity to renovate a Victorian property in the same area. Having spent the best part of a decade slowly making changes to their existing house, they jumped at the chance to design their dream home from scratch. Although their new property is a similar layout to their previous home, the surrounding plot is much larger. 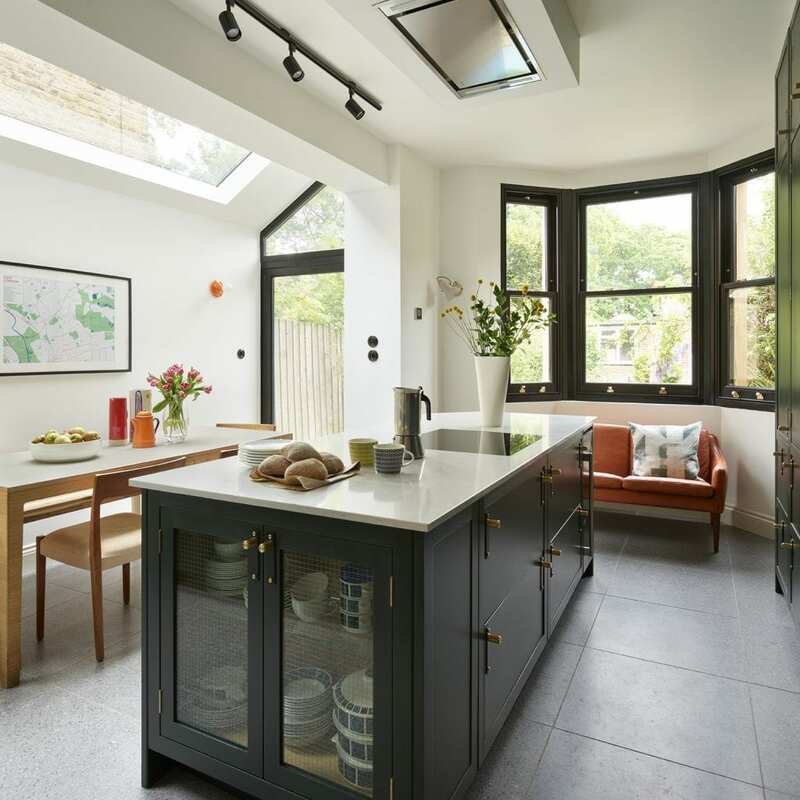 For some, this may have naturally led to a rear kitchen extension but Emma and Mark were keen not to reduce the size of their garden, and similarly did not want to lose the original double bay window which afforded views across open land – not an insignificant feature when living in London! With the luxury of creating their forever home from a blank canvas, Emma and Mark were also keen to ensure that their was a good flow between their living spaces. 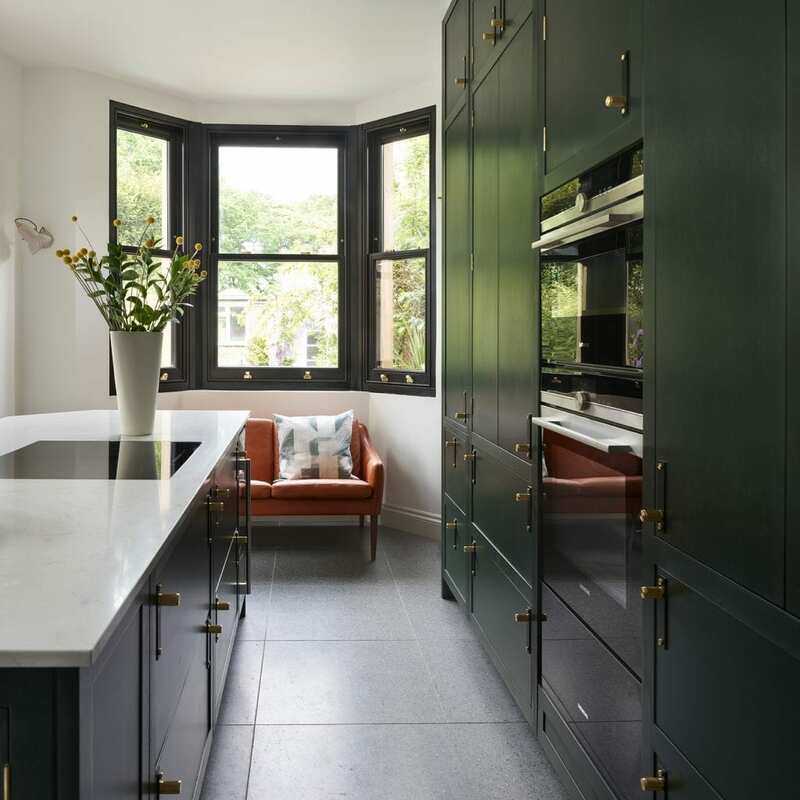 This was an especially important factor in the kitchen design, so the couple opted for a side return which allowed for both a dining area and sufficient space to include a practical island. 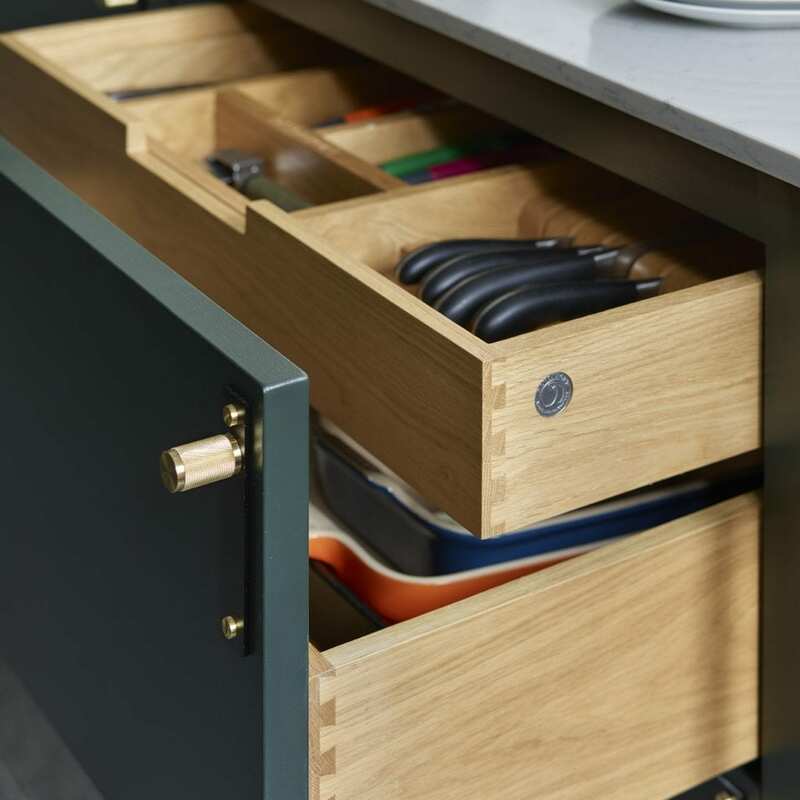 Similarly, sufficient storage was another vital ingredient in creating their perfect kitchen. Emma said, “We don’t have a car and once a month I need to stash away a big shopping delivery.” They opted for a deep run of cupboards that don’t obstruct the views from the all-important bay window, and that suitably cater for storing away plenty of food, as well as crockery and kitchen equipment. The couple worked closely with their Davonport designer to ensure that adequate space was allocated for everything, in order for everyday items to not detract from the overall look and feel of the room. For example, Emma’s two large food mixers can be accessed and used within the cupboards themselves, as sockets and workspaces were built in. There’s a second sink in a breakfast corner which also neatly houses a selection of teas, coffees and related items. 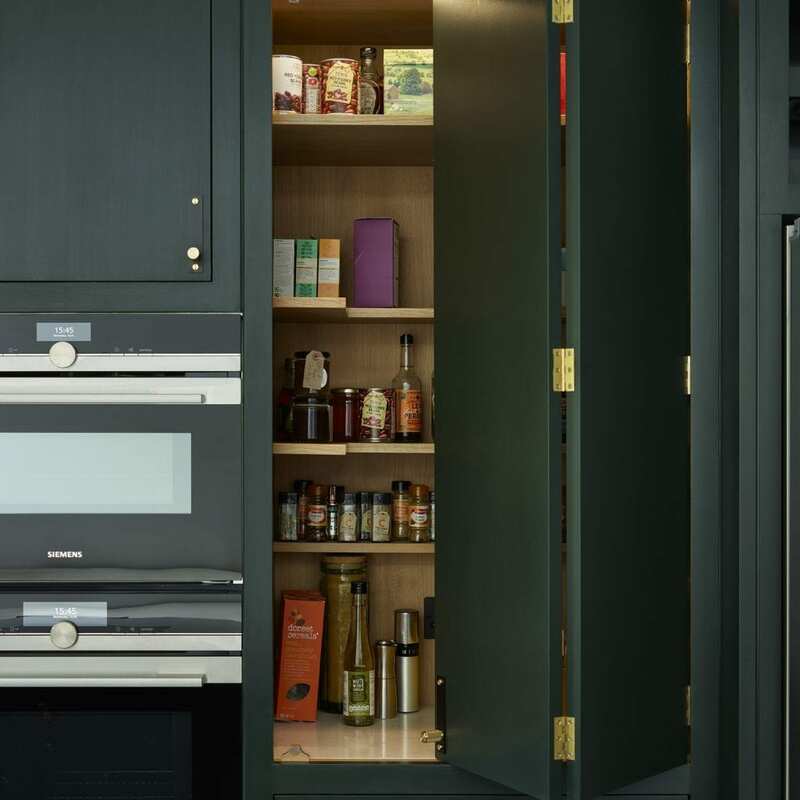 In terms of the cabinetry design itself, the couple chose Davonport’s Shoreditch kitchen for an eclectic and industrial aesthetic. 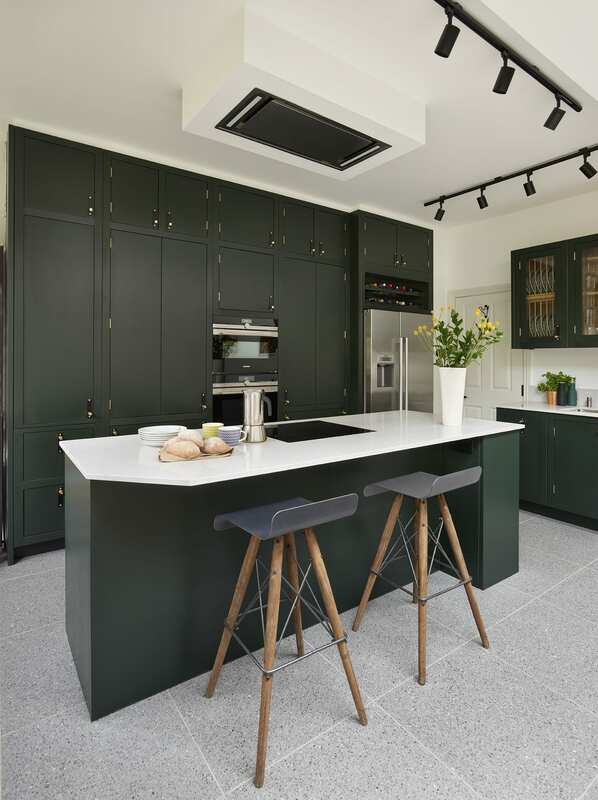 Tempted by the dark blue hue they’d used in their previous property, they were in fact lured away by Little Green’s Obsidian Green as it worked well with the rest of the property and let the kitchen design speak for itself. 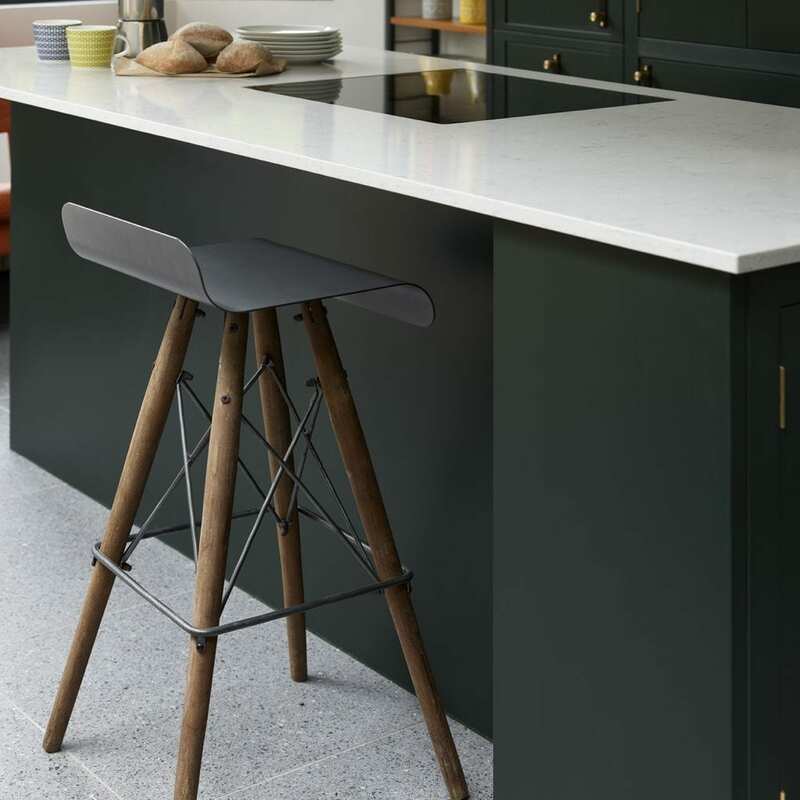 A particular feature of the Shoreditch kitchen is the use of wired glass to create a raw, urban edge. Emma particularly favoured this design as it allowed her to display the family’s beautiful crockery. 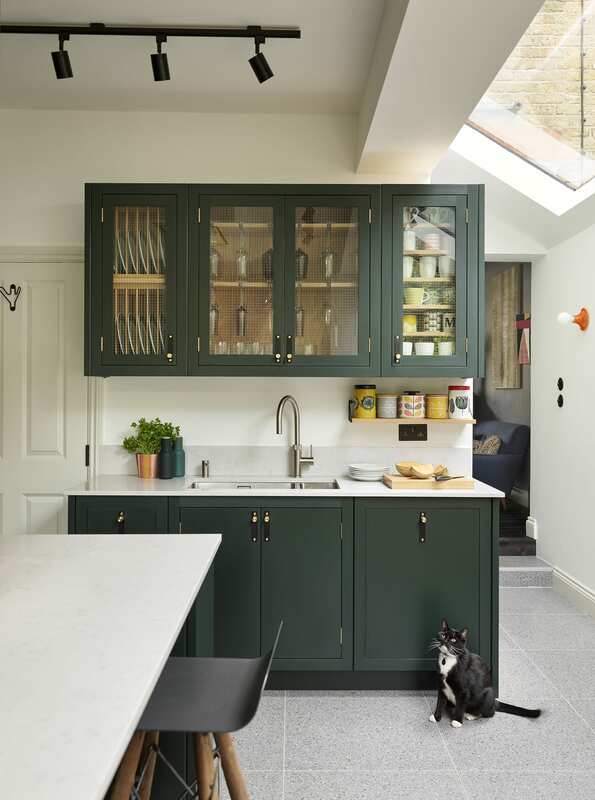 The over-sink wall unit is a significant feature and uses the same glazed-style cupboard to store upturned wine glasses in gastro-chic style.